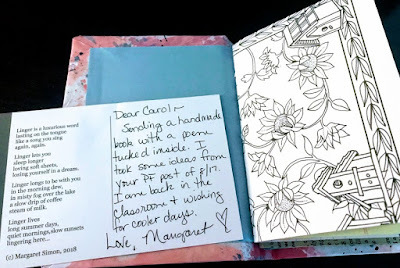 I love special deliveries, whether they are a purchase, an invitation to a significant event, new books, thank yous, or the Summer Poem Swap. This summer, I received many special deliveries and greeted each one with excitement. In particular, I received amazing gifts from poetry friends. 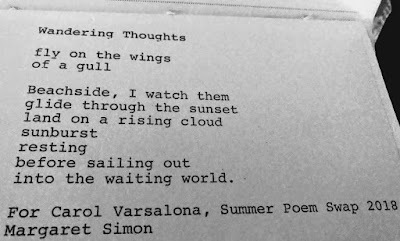 Three poem swaps from Linda Mitchell, Jone MacCulloch, and Margaret Simon came in the mail at various intervals. On two different occasions, I received packages of the book, Great Morning! 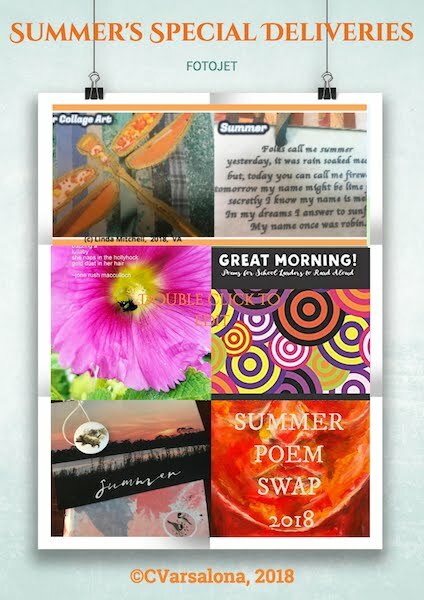 Poems for School Leaders to Read Aloud, with my poem, Art Class, included from. These special deliveries came from the fabulous poet/publisher team of Sylvia Vardell and Janet Wong. Just recently, I received my last poem swap from my poetry friend, Margaret Simon the author of Bayou Song, Creative Explorations of the South Louisiana Landscape. You can read my post on the Bayou Song Blog Tour here. Margaret's delivery was a special one indeed. It contained a gorgeous hand-made book with a beaded elastic tie featuring a nature-inspired pin. 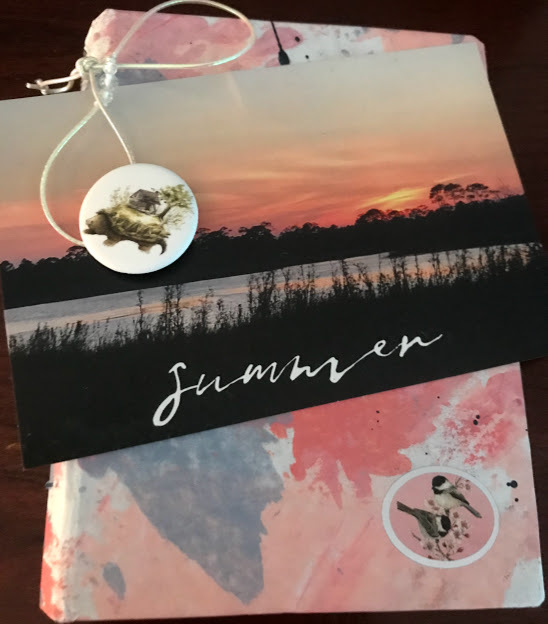 Accompanying the book was a vivid photograph of a summer sunset that will be included in my summer gallery, "The Art of Summering". 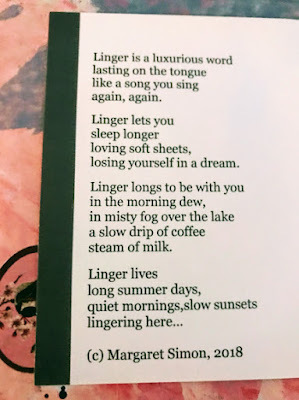 Margaret took ideas from my Poetry Friday post of 8/17/18 to create a poem centering on the word linger. In the photo below, look closely at all the details in Margaret's handmade gift. Margaret's poetic and DIY talents are evident. Margaret lifted my word linger that I used in my post and created a poem that captures the spirit of self-care during the summer months. as I wander along the beach watching the seagulls soar. 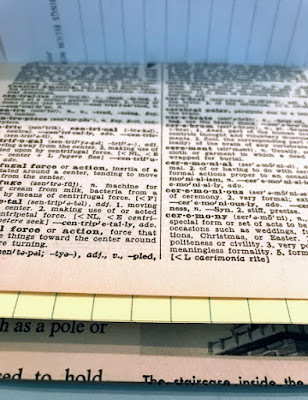 There are different sections of the book with vintage paper, black and white images to color, and plenty of blank paper to write. 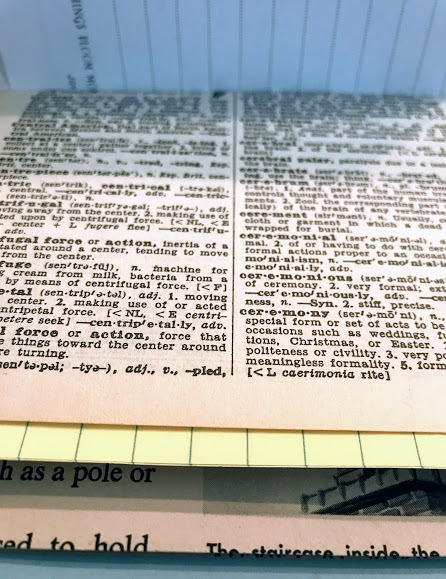 The interesting part of this book is the variety of vintage pages that will be used as writing prompts. I appreciate the many poetic gifts that I received this summer. 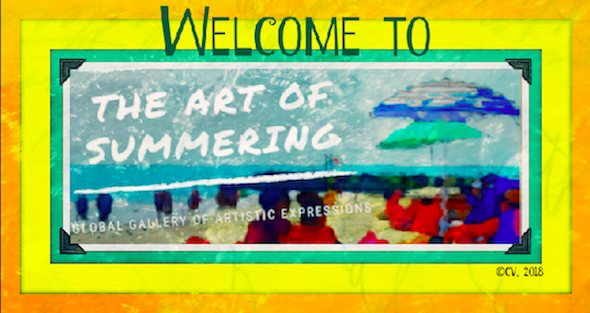 Special Note: I am collecting digital offerings for my summer gallery, The Art of Summering, this weekend. 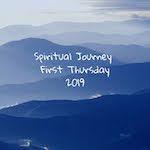 Now I am heading over to another poetry friend, Robyn Hood Black's site, Life on the Deckle Edge, who is the host for the Poetry Friday Roundup today. She is sharing some wonderful children's poetry and giving a nod to the Pomelo Books' newest poetry book, Great Morning! Poems for School Leaders to Read Aloud.